New listingCoast Floral, Fully Lined , Knee Length Dress with Lace Detail, Size 18. Coast Floral, Fully Lined , Knee Length Dress with Lace Detail, Size 18.. Stunning dress. Colours really pop and it looks amazing on. Nice thick material which is very flattering. Beautiful lace detail to bottom. Only worn once! This is an authentic hippie style printed dress/top. this dress is made from beautiful printed Rayon fabric. the umbrella fit can be worn by smaller sizes as well who like loose fits. Here we have a beautiful beach coverup dress made by Monsoon in Very Good used condition. Beautiful Classic white in colour. Made from a quality 100% cotton material. Have I forgotten anything?. Keyhole Pleated Chest Panel. Soft Pleated Skirt. Beautiful Hummingbird Floral Blossom Print in excellent condition. Taupe/Grey Shade. High Round Cut~out Neckline. Length = 33”. WITH ACONTRASTINGBLACK, CREAM & GREEN CHIFFON SKIRT. STUNNING SWING/SMOCK DRESS IN A BLACK, WHITE, GREY ABSTRACT PRINT ON BODICE. BODICE IS JERSEY COTTON STYLE AND SKIRT IS CHIFFON. MULTI-COLOURED ABSTRACT PRINT. The dress is fully lined and has a concealed back zip fastening. Sits mid thigh. Great for wear all year round. Really lovely dress, zip up at the back. Split sleeves. New listingBeautiful Sleeveless Tie Dye Dress size16 18 20 Made in Italy. Beautiful Sleeveless Tie Dye Dress size16 18 20 Made in Italy. . Condition is New with tags. Dispatched with Royal Mail 2nd Class. HOBBS Spotted Silk Long special Occasion Dress Size UK 14. Look stylish in this lovely silk dress from HOBBS with spotted pattern,, zip fastening on the side and waist tie fastening on the back, great for special occasions. Marc Cain Dress N4/14. Pale grey with cream trims. New without tags,beautiful for a wedding or a special occasion. Please note,necklace not included in listing. Post to UK only. 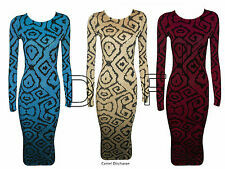 Fabulously design to skim your curves. COAST OCCASION DRESS. Stunning lined dress. Gorgeous For a super special occasion. Fully lined. Shoulder to hem 40” or 102cm. Gorgeous M&S Autograph Bright Green Pencil Dress Size 10. Very stylish with pretty ruffle front and concealed back zip fastening making it easy to put on. Beautiful quality fabric with slight sheen in gorgeous shade of bright green. Fully lined. Bust 36 in Length 40 in Excellent condition. Never actually worn as unfortunately too small. Fabulous looking figure flattering dress for special occasion. Thank you for looking. Boden Robyn Dress new and unworn in original packaging. Black silk mix velvet, with front pockets, rear split and fully lined. Darted skirt, black and gold ribbon style belt. Really difficult to capture how beautiful this dress is in photos. Bought for a special occasion but never worn. Would make a great ‘go to’ black dress for Christmas.Originally £180 from Boden. From a smoke free home. Royal Mail 1st Class. Coast Dress. Black with Purple Spots. Knee length (95cm from top of shoulder to hem). Round neck to front and V to back. Womens Pure Silk long sleeve and fully lined Occasion Dress by Hobbs.New with . Condition is New with tags. Dispatched with Royal Mail 1st Class. New Ex REISS ZILA Textured Stylish Fit & Flare Shift Dress RRP £175 Save £140! Coast Floral, Fully Lined , Knee Length Dress with Lace Detail, Size 18. Beautiful Sleeveless Tie Dye Dress size16 18 20 Made in Italy. Beautiful Ladies Kaliko Ivory Shift Dress Size 16. Lined.